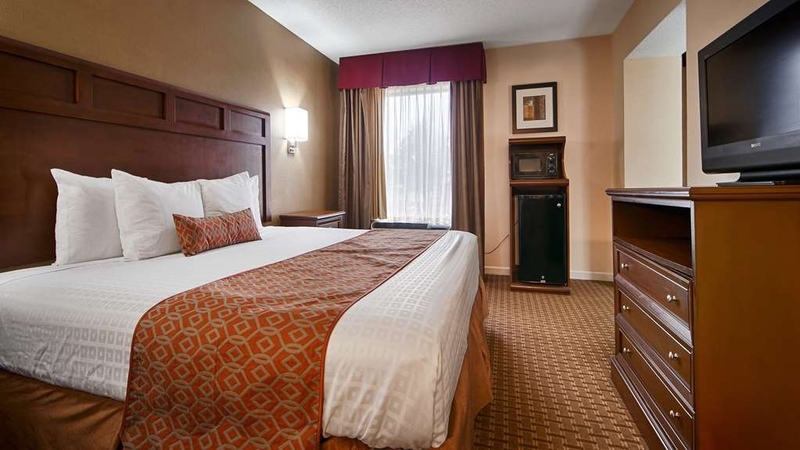 Das SureStay Plus Hotel by Best Western Jackson ist ideal in Jackson Stadtzentrum zu finden. Erleben Sie ein schöner Aufenthalt in der Nähe von alle Sehenswurdigkeiten. Bestpreisgarantie und exklusive Angebote. Gäste schätzen die günstige Lage unseres Hotels in Jackson zum Casey-Jones-Museum, das viel Wissenswertes zur Geschichte der Eisenbahn in der Region vermittelt. 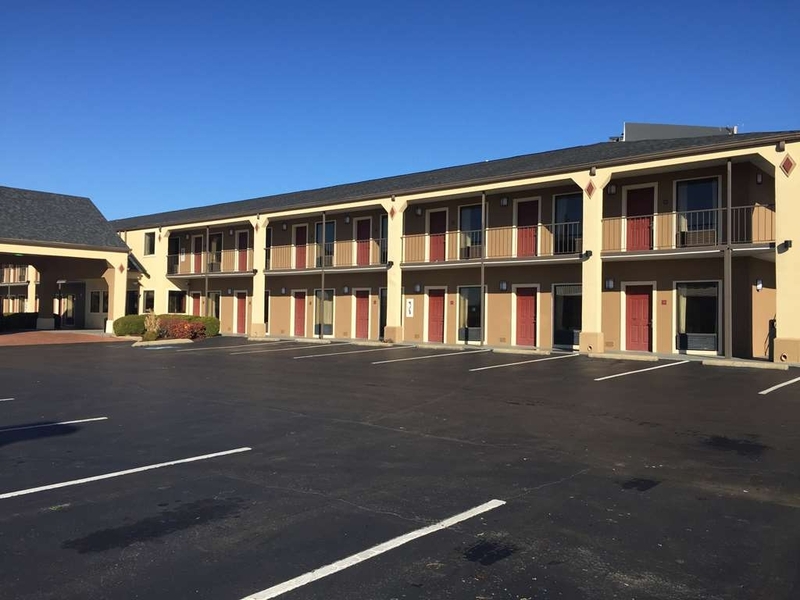 Unser Hotel in Jackson, TN, bietet Gästen die typische Gastlichkeit der Südstaaten. Alle Zimmer sind sauber, geräumig und komfortabel. Erschwingliche Preise und ein freundliches Personal sorgen für einen unbeschwerten Aufenthalt. Ob Geschäftsreisende oder Urlauber, unsere Gäste genießen einmaligen Service und fühlen sich bei uns wie zu Hause. Lassen Sie es uns wissen, wenn wir Ihren Aufenthalt noch angenehmer machen können. 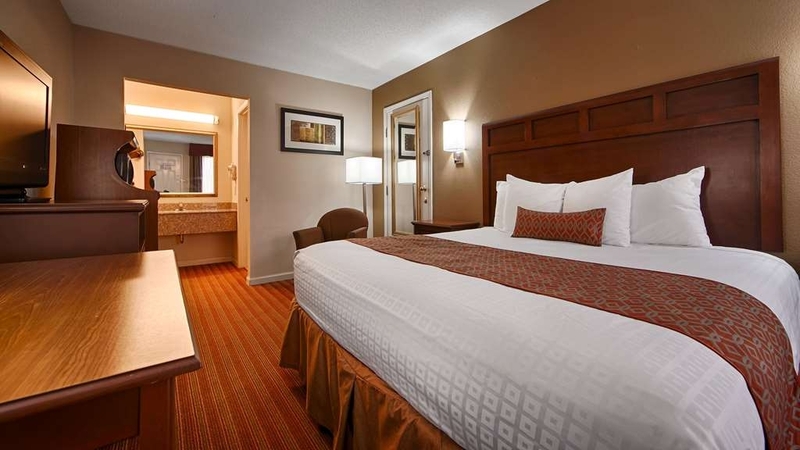 Hotels in Jackson, TN, sind bekannt für ihren großartigen Service. 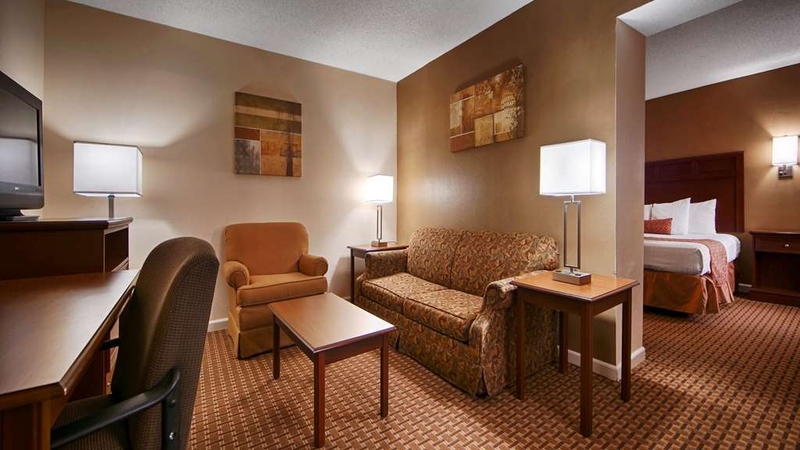 Das SureStay Plus Hotel by Best Western Jackson setzt jedoch völlig neue Maßstäbe. Das Hotel liegt in der Nähe der Interstate I-40 zwischen Nashville und Memphis und es gibt keinen besseren Ort für einen Besuch der beiden beliebtesten Städte Tennessees. Sie verdienen den bequemen Komfort der Großstadt, ohne auf Ruhe und Entspannung verzichten zu müssen. 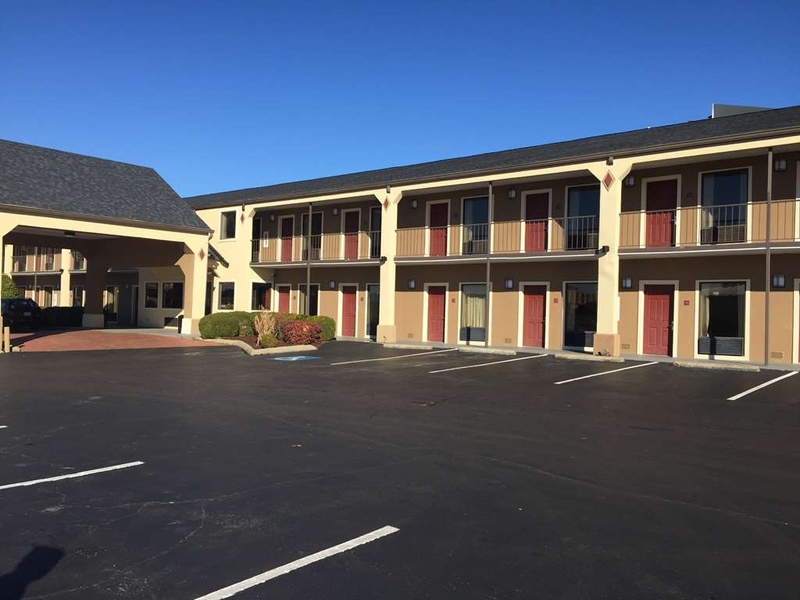 Viele Geschäftsreisende wählen unser Hotel in Jackson wegen der niedrigen Preise und des guten Rufs von Best Western. Unser Hotel ist die perfekte Wahl für Geschäftsreisende mit Terminen bei Delta Faucet, Jackson General Hospital und Proctor & Gamble. Andere Gäste suchen ein Hotel in Jackson, TN, um an einem lokalen Baseballturnier teilzunehmen. Ganz gleich, welcher Anlass Sie in die Stadt bringt, bei uns erwartet Sie ein angenehmer und komfortabler Aufenthalt. 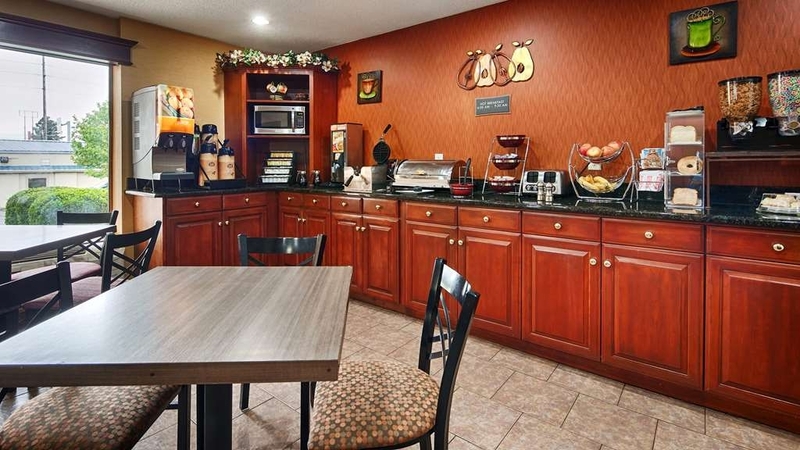 In diesem Hotel in Jackson genießen die Anforderungen unserer Gäste höchste Priorität, und wir bieten Ihnen luxuriöse Betten und schön eingerichtete Zimmer. Geschäftsleute finden in jedem Zimmer ausreichend Platz und die notwendige Ausstattung, um problemlos alle Aufgaben zu erledigen. Von Familien im Urlaub bis hin zu Businessleuten, bei uns ist jeder Reisende gut aufgehoben. 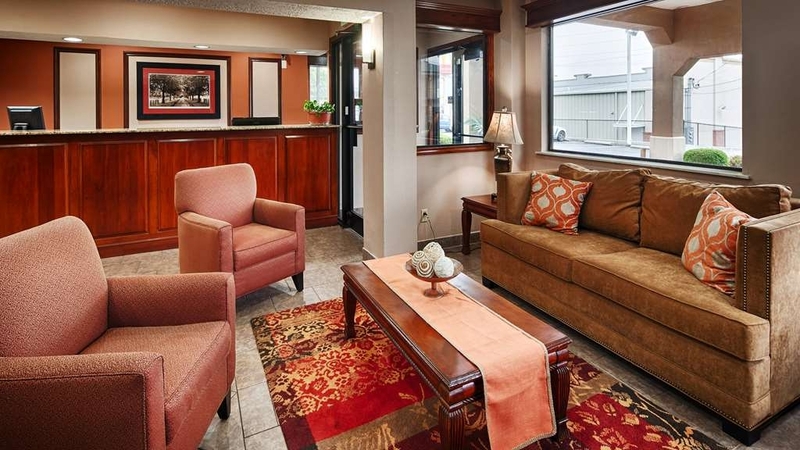 Reservieren Sie Ihr Zimmer im SureStay plus Hotel by Best Western Jackson und genießen Sie den besten Service der Stadt!Genießen Sie Ihren Aufenthalt! Front desk clerk was super friendly. Front desk printer ran out of paper to print and I happened to have some in the car so I gave her a stack your tide them over. She offered to give me some extra points on my account in return for the paper!! Haven't seen them on my account yet but I guess it is the thought that counts! Great stay overall. 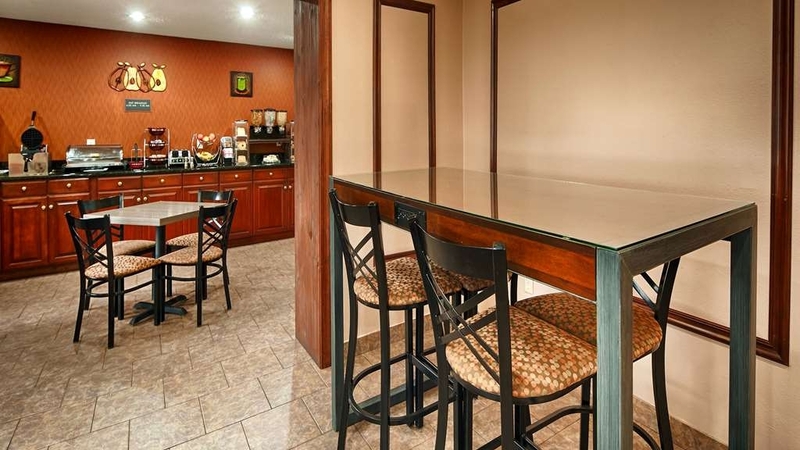 Location is very close to main road with many restaurants available. Room was comfortable and clean. Located just off highway, easy to miss behind some other buildings, quick left at lights. Check in attendant was real nice. Room was clean but a little tired. Beds were very comfortable. Breakfast was good, they cooked cheese omelets along with regular breakfast items. Only 90 minutes to Nashville. Good value. Had a Wonderful experience. The night shift lady went above and beyond greeting us and our dog. Very sweet to get us some bottled water and snacks. Everything was easy to access with the ability of staying on the first level. Parking isn't as available as I wish it could have been but very doable. "A GREAT PLACE WITH GREAT VALUES & A GREAT PRICE"
Natasha front desk is the best. Great breakfast and clean presentation. Older lady there is like ya grandmother is cooking the food loving environment for kids as well. Several TVs thru out for you viewing pleasure. GREAT PLACE IN A GREAT CITY! Best place we've ever stayed anywhere! Beds are so comfy and service is fantastic! Conveniently located near Redbones (so yummy!) and shopping is close by. Only place we will ever stay in Jackson, TN! 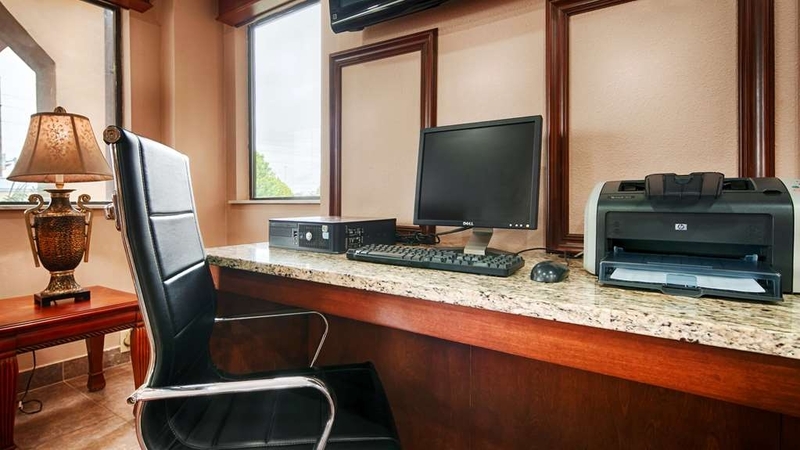 The hotel is close to I-40, but it takes some twists and turns to find it off road, The lobby is very nice with a coffee bar, seating area, television and a large screen desktop computer free for use. We never met front desk clerk Lauren who was very helpful by phone in taking notes that we preferred a downstairs room and answered my questions about the area. The evening desk clerk (somehow forgot her name) was also very helpful and suggested restaurants to us in the area. She was glad to help us and made us feel very welcome. The room itself was clean, well lit and comfortable. The oversized TV is always my favorite feature at a hotel and the guide on the cable system was also helpful. The bathroom is like a lot of budget hotels where the shower and toilet are in a postage stamp like room and the vanity is on the outside of the bathroom.....not our preference because it limits privacy and disturbs other people in the room when one person is getting ready to go. There was a terrible design flaw by the bathroom.....toilet flushed even from other rooms sent a wakening run of water through the pipes with a loud shutoff. My wife and I woke up several times to that in the night. Our room also had flooring that had either bubbled or come loose underneath the carpet right outside the bathroom that caused it to give about a half inch when stepped on and caused it to creak. A handyman should be able to fix it with a nail gun. Therefore, even though the traffic noise was not noticeable, too much noise inside the room. We wish the room air conditioner...the usual lower window type unit...had a continuous fan to move the air in the room. The beds were very comfortable and w had a coffee maker in the room. Our biggest gripe was with the shower. Below average water pressure and the water just did not get hot. Warm....not miserable...but ti was cold outside and a hot, steamy shower would have been great. The second shower, according to my wife, was just luke warm.....the hotel shower is the biggest criteria for how she rates a room. The bathroom was very clean and the outside vanity had a nice, marble type top. 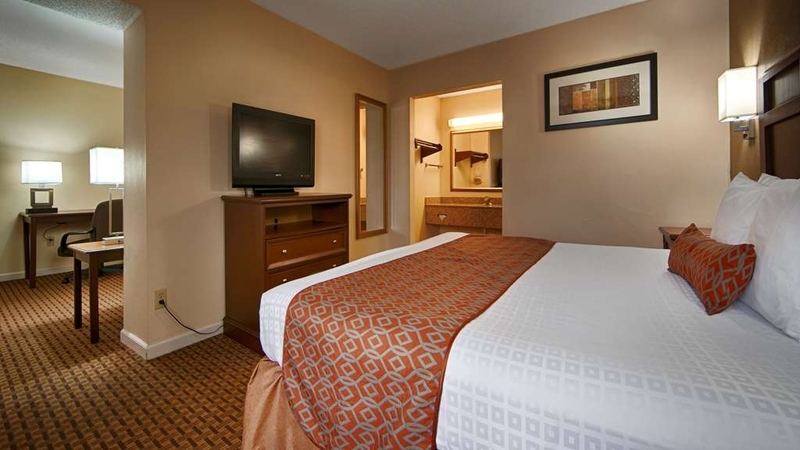 Of course, it is difficult to be too hard on a budget hotel since the very affordable price is a real plus. We wish the lobby did not close down to a window service only lobby late at night and only opening back up at 6 am. Breakfast was served at 6 am through 9:30 am and had scrambled eggs, sausage links & biscuits with sausage gravy. "Mice in breakfast area 2/26/19"
Went to open up a drawer to look for jelly and this is what i found.. There was big white lady at the desk. I saw her wipe off a table with what appeared to be a bath towel.. She changed trash not wash hands..
"Warning! 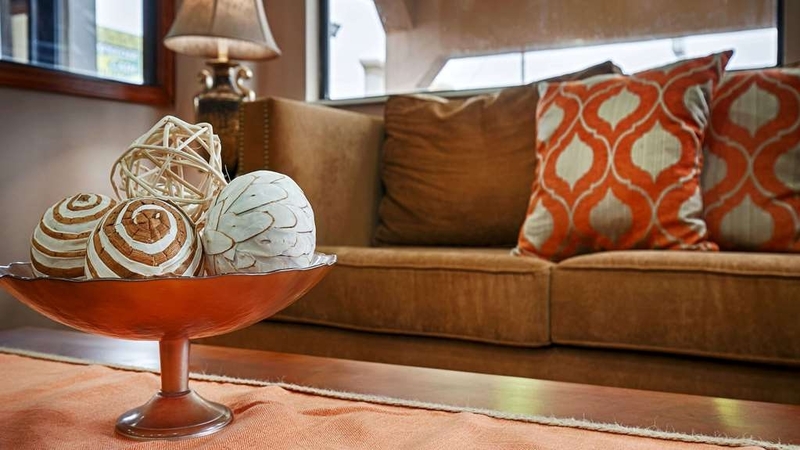 This is not your typical Best Western hotel!" Clean room, comfortable bed, excellent breakfast - but Internet did not work. If the internet had worked, I would have given the property a higher rating. I read a review after my stay. Apparently, the Internet has been an ongoing issue. We stayed for one night visiting family in Jackson. The location is fine for that, just off the freeway and across the road from a McDonalds and the Casey Jones museum and restaurant. There seemed to be plenty of local shopping for essentials. The bed was fine, no noticeable noise from the roads. Decor is a bit outdated, but it's clean and decent. We were on the second floor, there's no elevator and the walkway got pretty wet and a bit slippery. Breakfast was OK for the price - coffee, choice of teas, waffles, fruit, cereal, toast. Service friendly from what little interaction we had. Didn't get to try the pool but it looked fine, if a little public! The immediate area looks a bit "work in progress". Lots of building and roadworks. "I used to love to stay here." We arrived around 8 p.m. to warm cookies from the Office Manager. She was very friendly and knowledgeable. It took a bit to locate this hotel. It is on a service road. 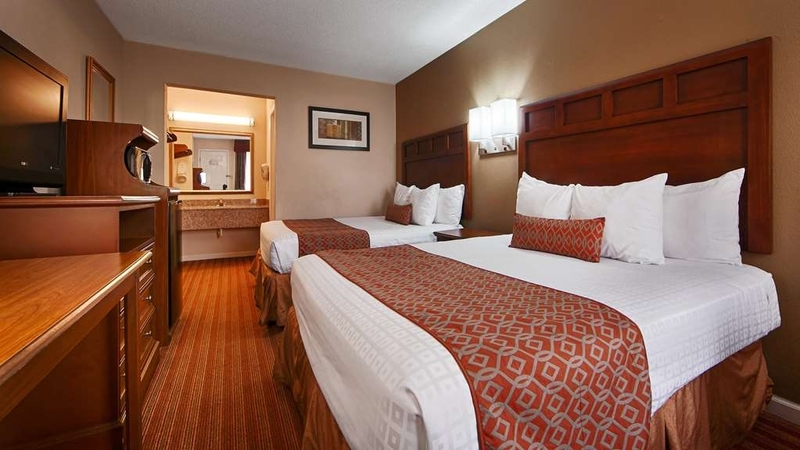 We were originally skeptical because of the location and reviews that we read, but were very pleased with the accommodations. We stopped here on our way to Mississippi. We were tired but I have to say that your wonderful hostess, Jeanette, was so accommodating. She recommended a great restaurant to us, went into detail to explain the Rewards program and just overall, a very nice person. The next morning, Lauren, was in the breakfast area and I also think she was very accommodating. Nice place, close to nice restaurants. 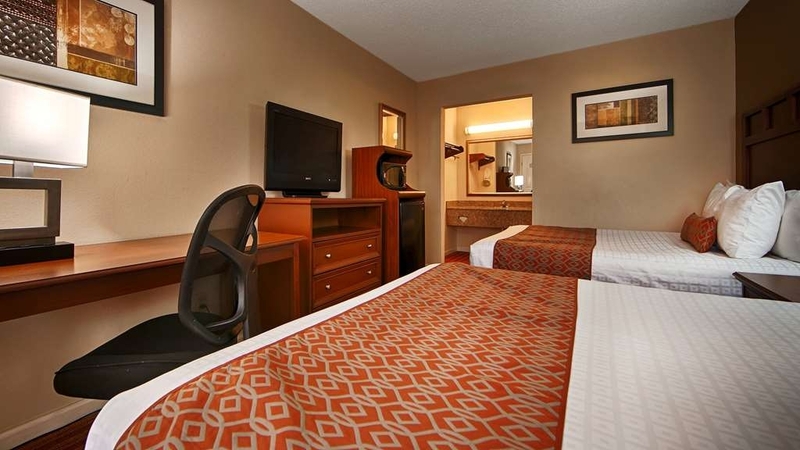 "Nice stay at the Best Western Carriage House - Jackson TN"
First! Kudos to these folks who had the AC on in our room when we arrived a very hot steamy Tennessee afternoon. And then there was the lemonade available in the lobby. Two big plusses that made us feel welcome ..... and cool again! Very nice room, nicely appointed. Lovely breakfast in the morning. Parking lot is a little tight, but we found a space. These nice folks even called us when we left behind a small toiletry bag. A very nice stay. We would stay again! Thank you for such a sweet review. We look forward to seeing you again in the future.